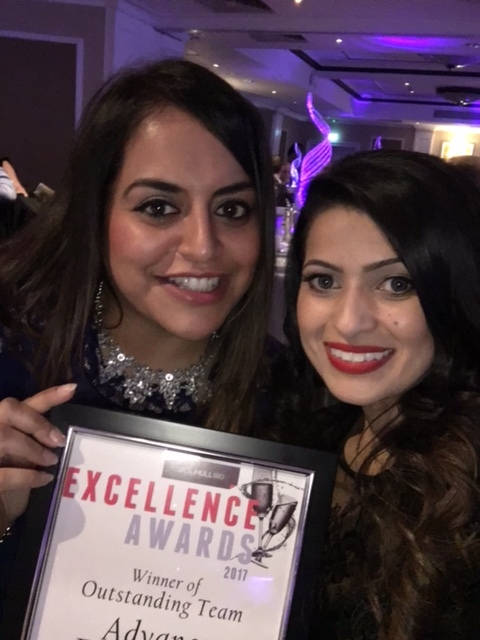 Having been shortlisted for two awards, including one for 'Outstanding Innovation and Enterprise', our Employment Services Team have won in the 'Outstanding Team' category at the Solihull BID Excellence Awards. The award ceremony, held on the 24th November, celebrated the successes of businesses in Solihull. Donna Dind, Performance Manager, and Chris Jones, In Work Support Adviser, attended the interview for the 'Outstanding Team' category. Head of Employment and Skills, Jagdeep Soor, and In Work Support Adviser, Anne-Louise Rapson were interviewed for the 'Innovation and Enterprise' award. Anne-Louise, said "It was a fantastic suprise [to win] as we were honoured just to be shortlisted. The team would like to give thanks to all our fantastic customers who enable us to be a good team and win this award."